Julius-K9 IDC Powerharnesses are made especially for you and your best friend! But what exactly do they feature? Why are these harnesses probably the best dog harnesses? 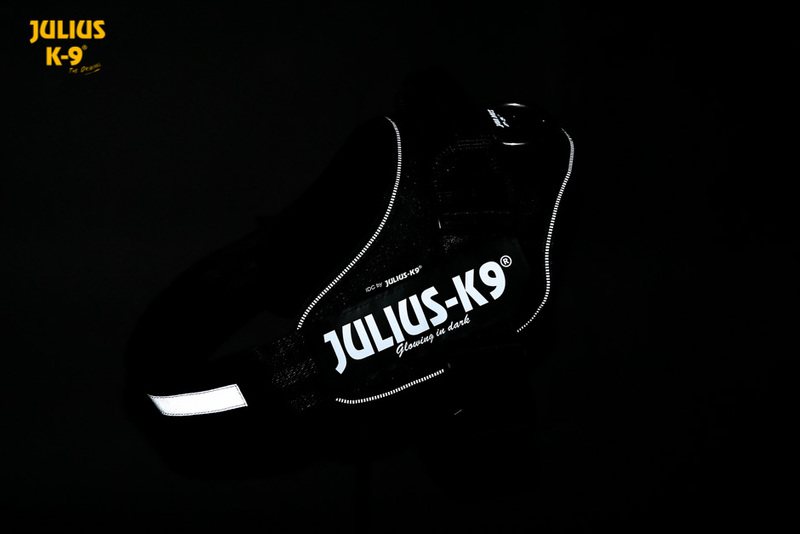 Chest straps of Julius-K9 IDC Powerharnesses are reflective and point downwards, so the weight is equally distributed on the chest and the neck is not involved. 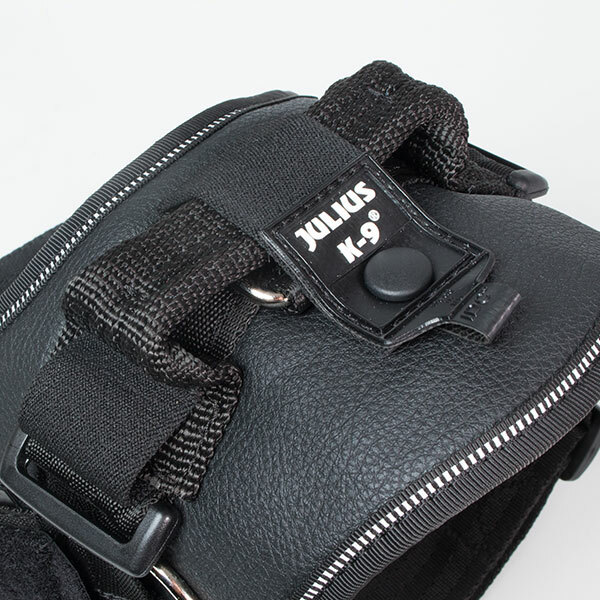 Buckles are at a higher point of the Julius-K9 IDC Harness compared to Original K9 Powerharnesses, so it doesn't affect the movement of the front legs and does not restrict smooth movement. You might ask now: "Is this all?" Well... Not exactly! As I mentioned chest straps, I thought (just like you) that this is great, but is there any scientific confirmation behind this? My answer is: YES! The concept of the Julius-K9 IDC Powerharness was created with careful mathematic calculations when it came to designing the chest strap. 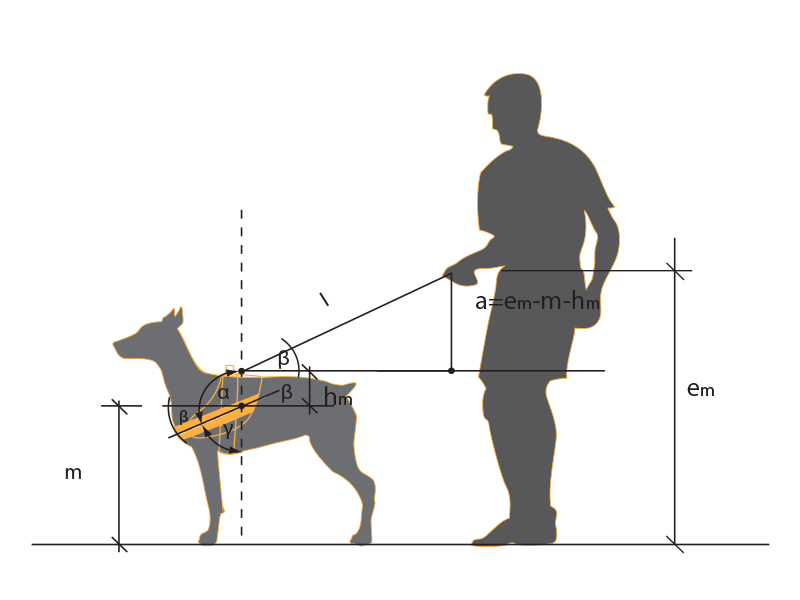 Due to different dog sizes, the load acts differently on various dog heights: vector angles are different for every dog. 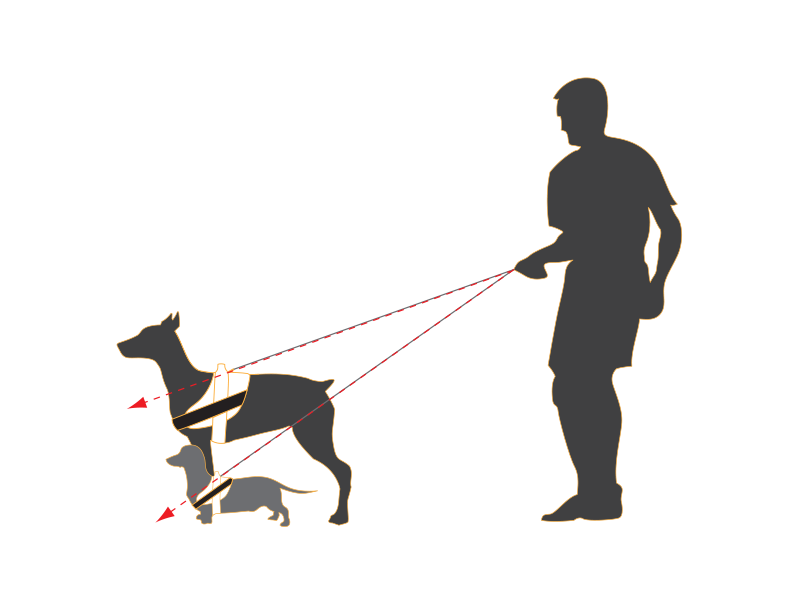 This is why angles of chest straps differ from each other: The bigger the dog is, the bigger the angle becomes! ...And these straps are even reflective! Because this ensures that you see your dog when you go for walks at night. 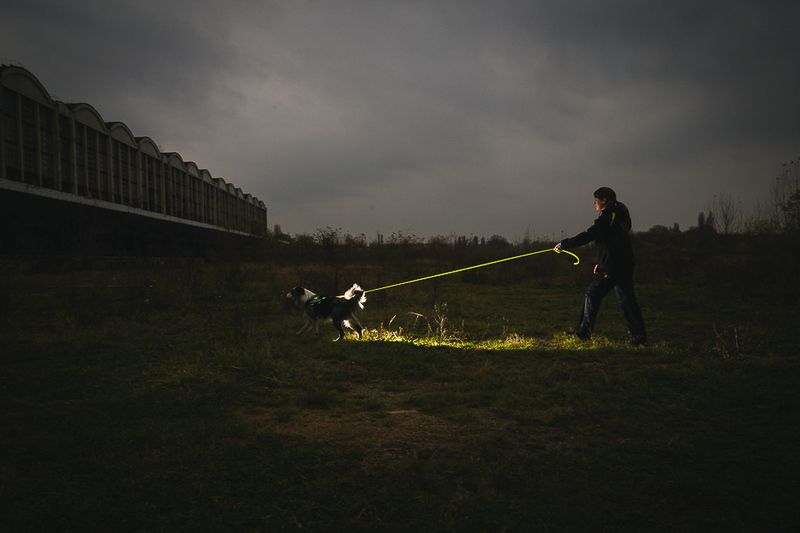 Reflective elements are placed throughout the harness, so the dog is visible to oncoming cars from over 100 metres! This provides an almost 100% chance for the driver to slow down, so your dog does not get hit by a car. 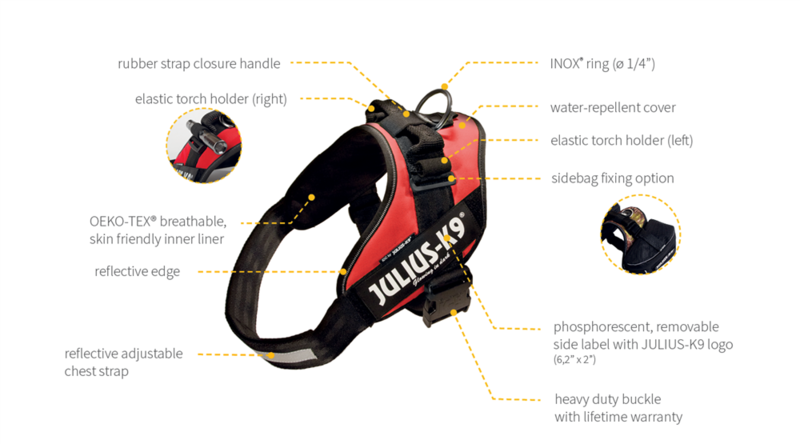 Safety first, choose a Julius-K9 IDC Powerharness! As part of the visibility, there are torch holders on Julius-K9 IDC Powerharnesses (Available from Size 0) which let you put a LED light on the harness, so you can see your dog’s every movement. What’s more, these harnesses are constantly tested so I can surely say that our guarantee is quality! The Julius-K9 IDC Powerharness received many quality awards not only in the origin country (Hungary), but in various other countries, such as: Germany! But why did they receive these awards? Only those materials are used for making these harnesses which satisfy even the highest quality standards both in the EU and in the U.S.! It could bear an outstanding 300 kilograms of weight, after the buckle opened, however, the harness itself remained intact. Due to the usage of high-quality material, the buckles can withstand extreme cold, so you can be sure: the Julius-K9 IDC Powerharness is never going to let you down even in winter! This practical harness has a closable handle on the back. I mentioned the weight the harness can withstand, so you can lift your dog anytime without making them feel uncomfortable in the harness! Why is it closable? Dogs are always energetic, love to run and have fun. When they run, the handle might get caught up on trees or any object and that kind of sudden stop can hurt your dog. But if you close the handle, it reduces the space between the harness and the handle to zero, so your dog can’t get caught up onto anything! Thank you for reading through this article! If you want to own this miraculous invention, click HERE!